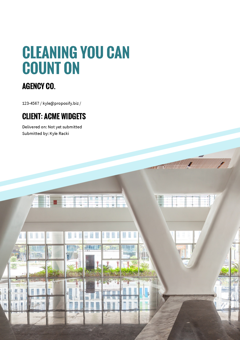 Pest management companies can use this free pest control contract template to bid on jobs for both commercial and residential clients. Quickly and easily create a professional-looking service agreement for bird, rodent, insect, and animal deterrence or exclusion jobs. 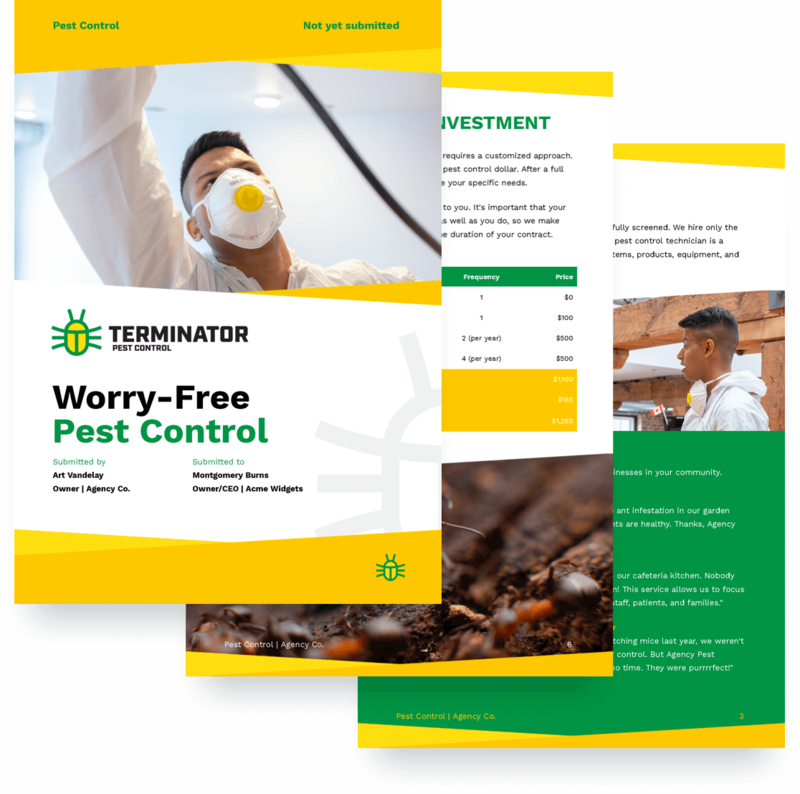 This pest control bid proposal template is 100% customizable, making it extra simple to customize it for your business, brand, and specific client needs. Painlessly create bids for deterrence, exclusion, fumigation, or control jobs. Get 60% faster sign-offs with our online signature tool and get paid right in your proposal with Stripe payment integration. 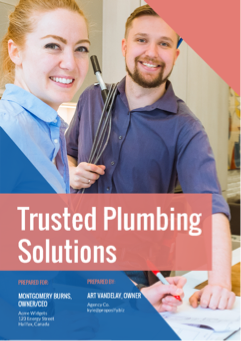 Companies and professionals that provide commercial or residential plumbing services will enjoy this free plumbing quote sample when creating estimates for their work.